The Ethics and Anti-Corruption Commission chief executive position is vacant following the expiry of Mr Halakhe Waqo’s six year non-renewable contract. In an advert, the graft body is looking for a Kenyan citizen with at least 10 years experience at management level and meet the requirements of Chapter Six of the Constitution. The candidates must also possess a post-graduate degree from a recognised university. They must also obtain clearance certificates from the Kenya Revenue Authority (KRA), Directorate of Criminal Investigations (DCI), the Higher Education Loans Board (HELB), Ethics and Anti-Corruption Commission, and the Credit Reference Bureau. Waqo took office on January 21, 2013. In May, Waqo was accused by a lobby group, Coalition of Citizens against Land Grabbing, of having fraudulently acquired a piece of land in Isiolo belonging to the government ended up in his hands. The group also said that he had grabbed a 31 acres of land belonging to a community trust at Camp Garba. 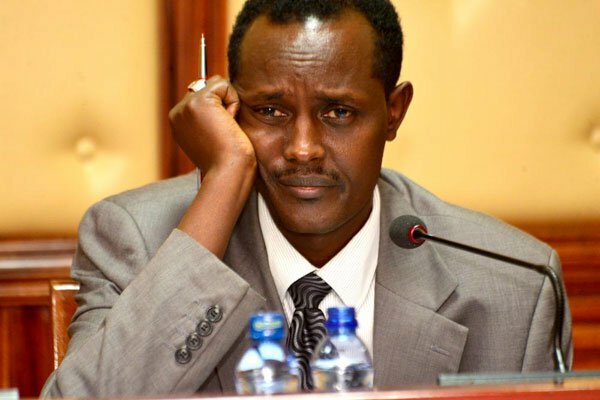 In June, a fired EACC investigator accused Waqo of receiving Sh360 million in kickbacks to end corruption cases, allegations he has since denied. Adan Moro Gaucha said that the CEO received Sh300 million to compromise the first Sh796 million NYS scandal.